With meals like this Gremolata Roasted Turkey Breast made with fresh parsley, lemon and garlic; you can transform any roast into a family favorite. 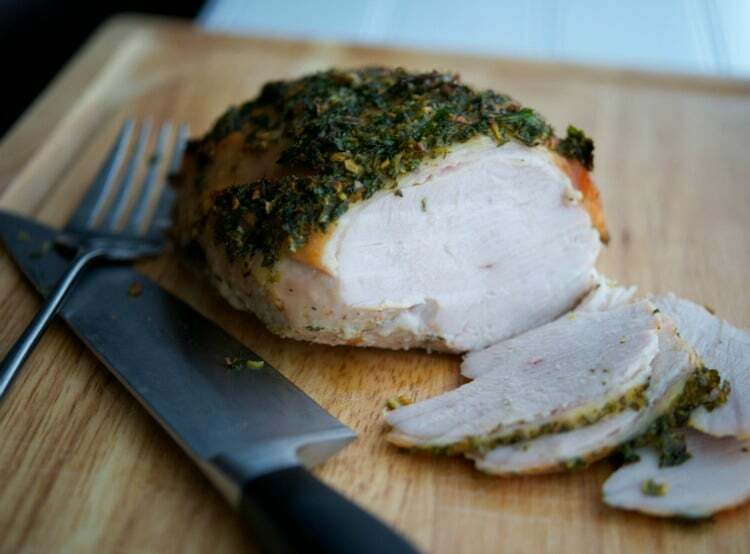 I happened to use Perdue’s Seasoned Turkey Breast that comes in a netting; however, I rinsed off the seasonings and removed the netting before adding my gremolata topping. 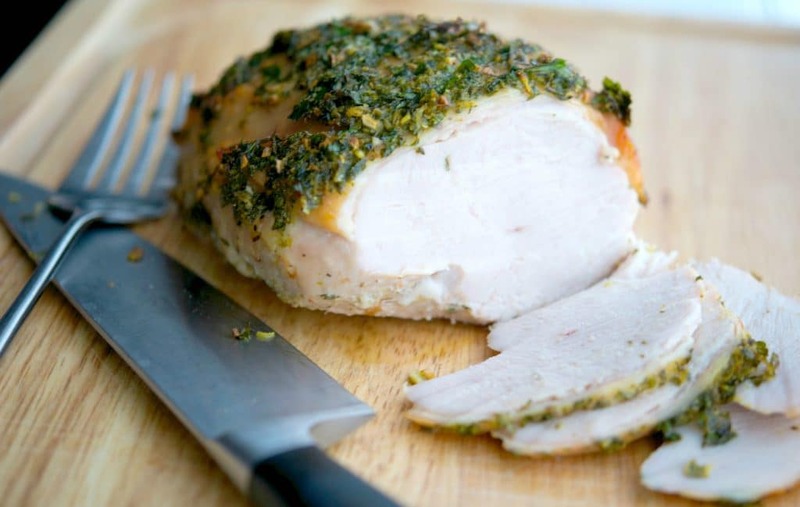 You can also use turkey london broil (which I just tried this past weekend and was AH-MAZ-ING! ), roaster chicken, whole turkey, fish or even a beef roast. 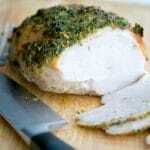 Preheat oven to 350 degrees; then remove the netting and rinse the meat under cold water to remove any seasonings. 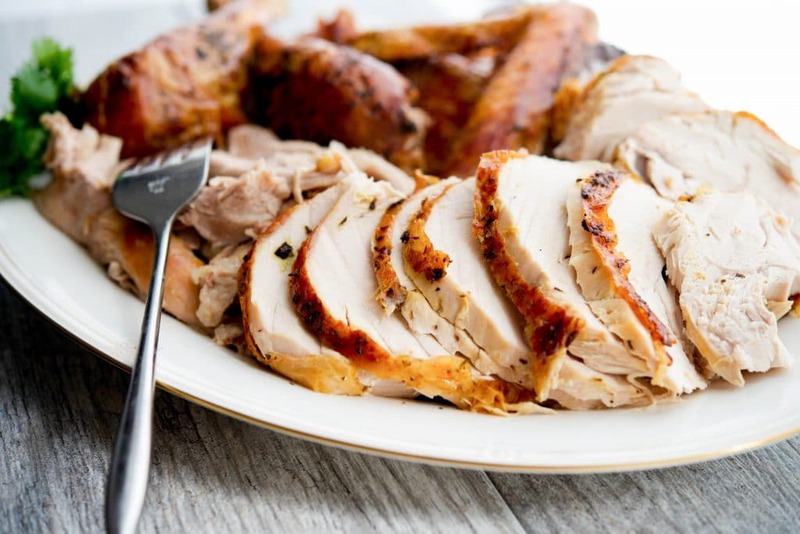 Place the turkey breast in a shallow roasting pan. Next, combine the parsley, lemon zest and juice, garlic, salt, pepper and oil in a small bowl and mix well. 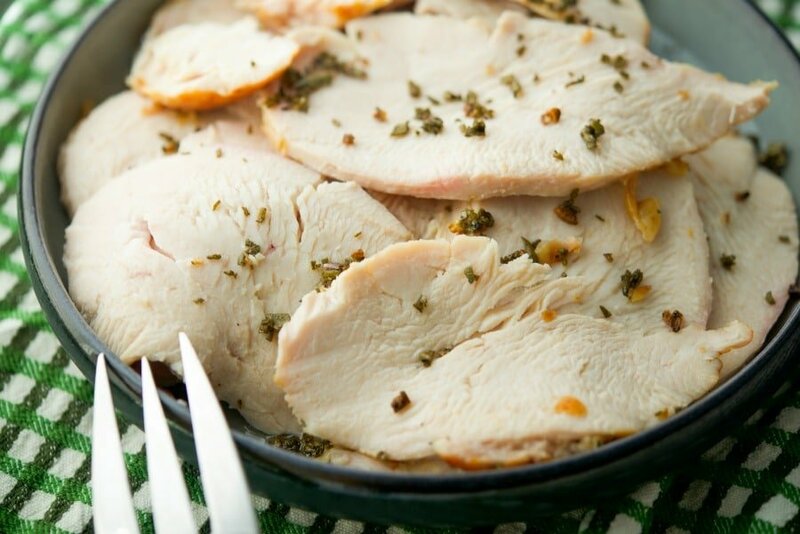 Brush the gremolata mixture evenly on top of the turkey, add about 1 cup of water to the bottom of the pan and place the turkey in the oven. Bake for approximately 1 1/2 to 1 3/4 hours or until the juices run clear and the internal temperature reaches a minimum of 165 degrees F (I prefer ours at 180°F). 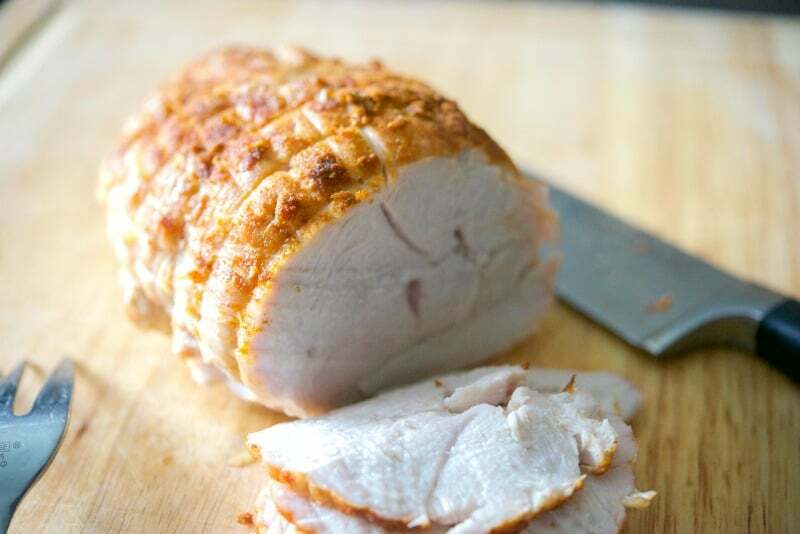 Allow to rest 10 minutes before slicing. 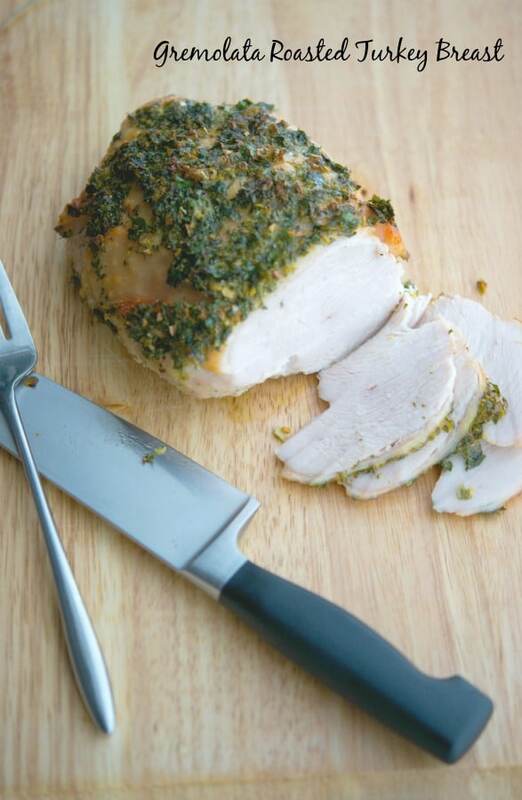 The flavor of this Gremolata Roasted Turkey Breast is delicate yet bold enough to pair nicely with any cut of meat. My family really enjoyed this roast; which took only 10 minutes to prepare before popping it into the oven. ~Enjoy! 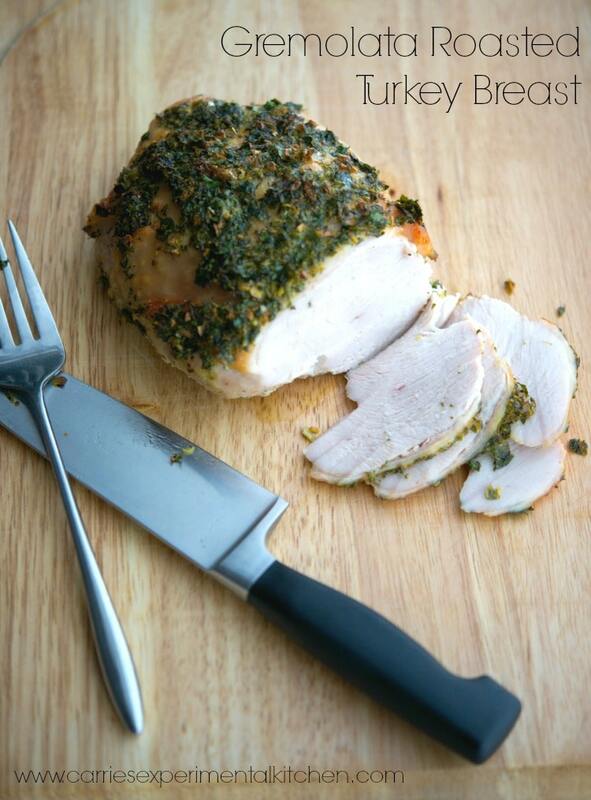 Remove the netting and rinse the meat under cold water to remove any seasonings. 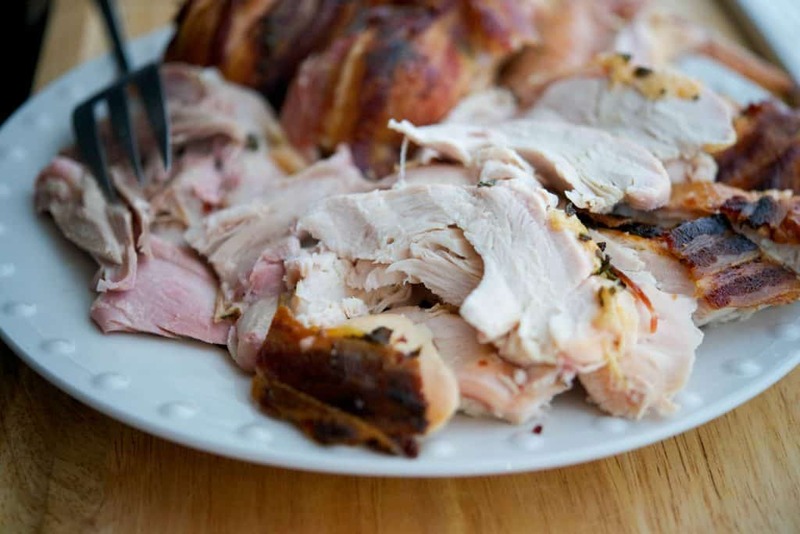 Place the turkey breast in a shallow, oven safe baking dish. Combine the parsley, lemon zest and juice, garlic, salt, pepper and oil. Mix well. 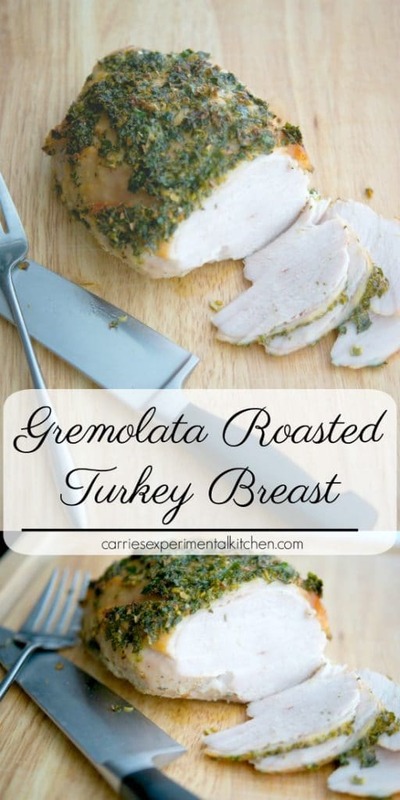 Brush the gremolata mixture evenly on top of the turkey, add about 1 cup of water to the bottom of the pan and place the turkey in the oven. Bake for approximately 1 1/2 to 1 3/4 hours or until the juices run clear and the internal temperature reaches a minimum of 165 degrees. Let rest 10 minutes before slicing.